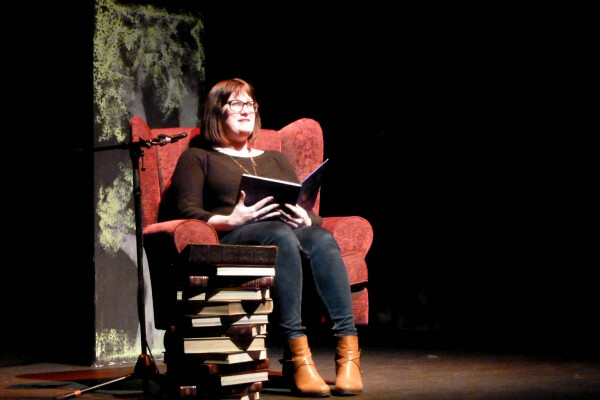 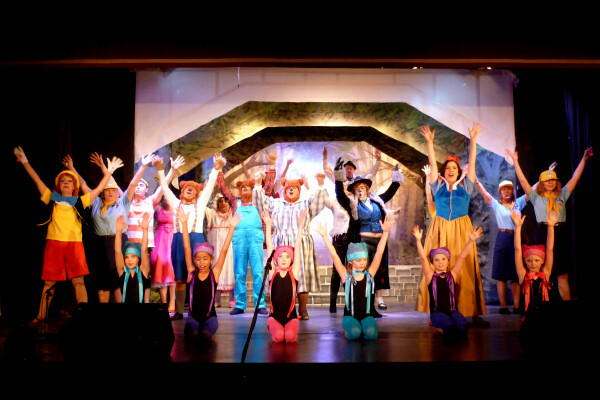 In a magical kingdom our narrator is leafing through his favourite fairytales to choose a story, when he drops his books, the pages mix together and so our pantomime starts. 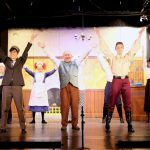 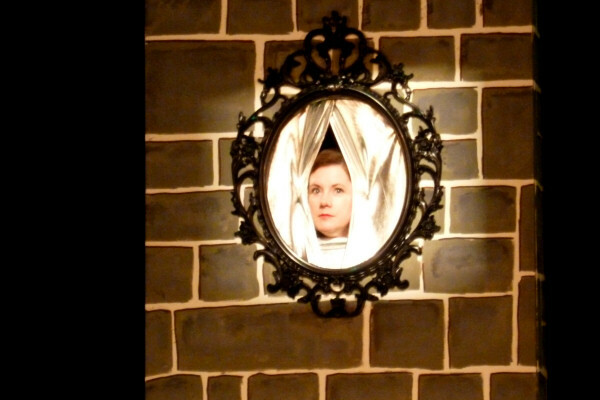 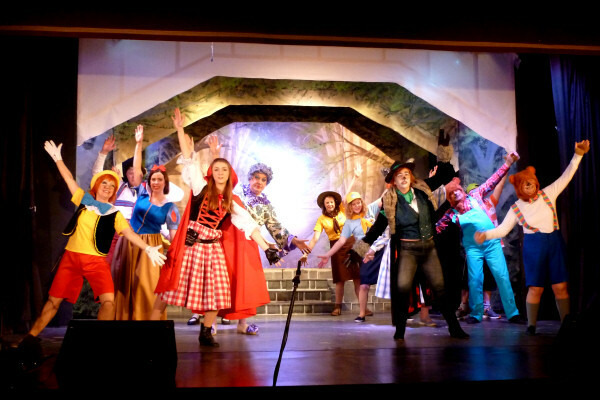 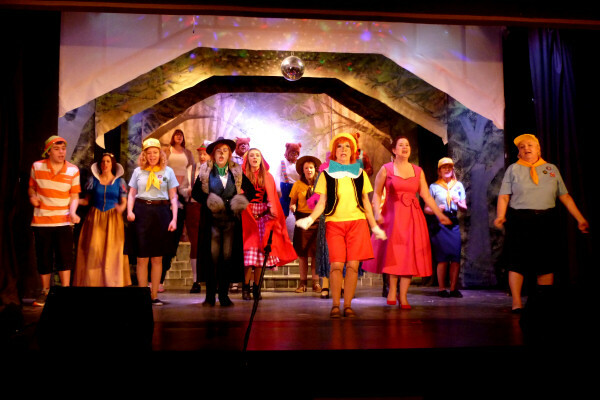 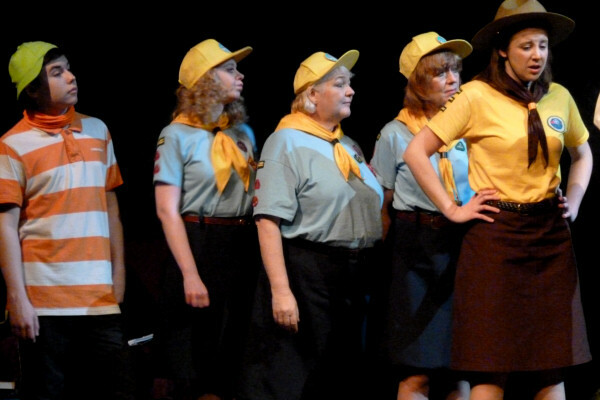 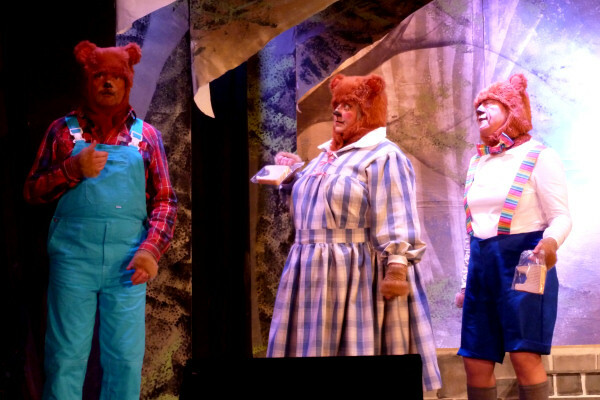 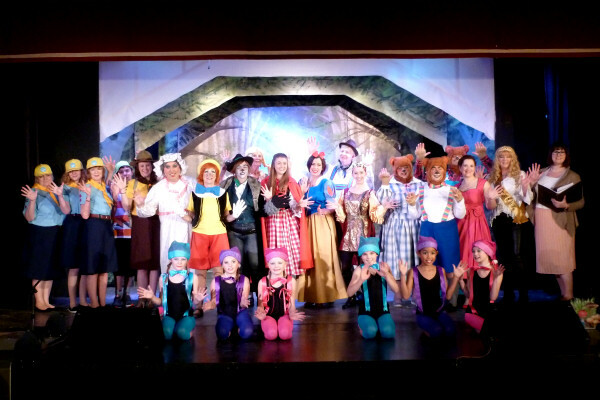 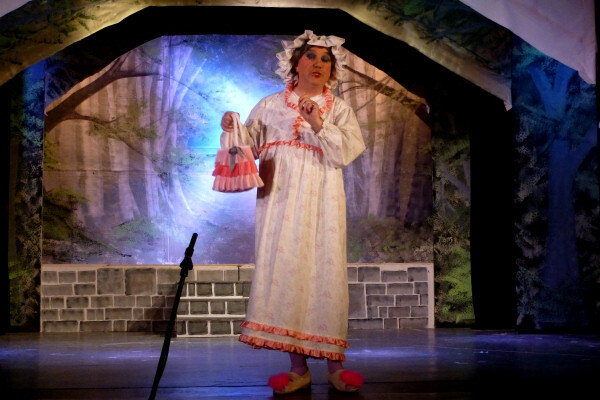 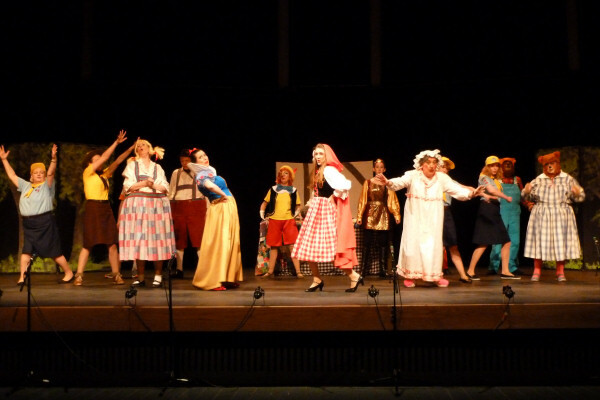 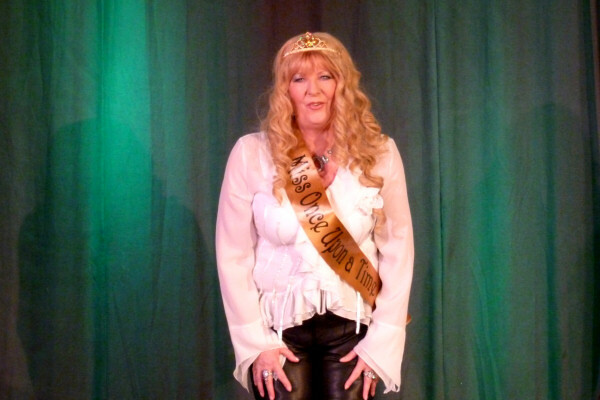 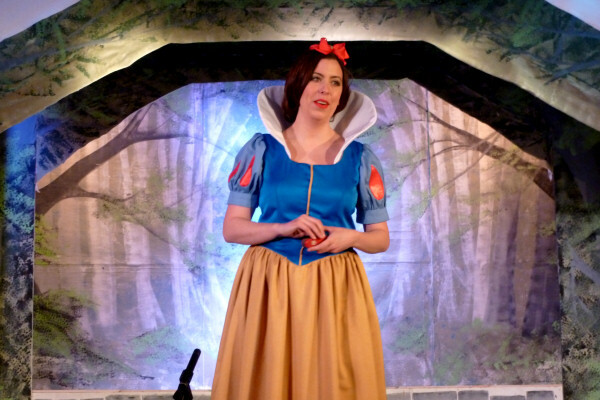 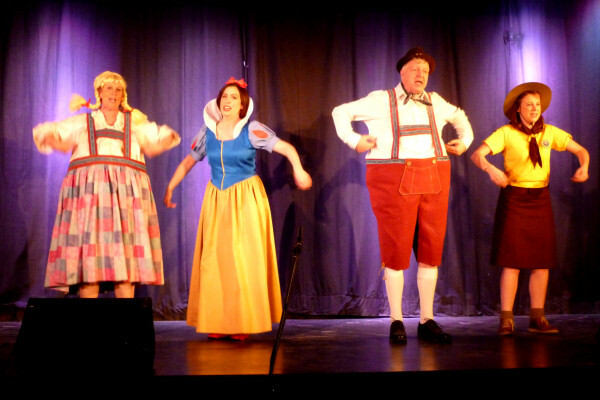 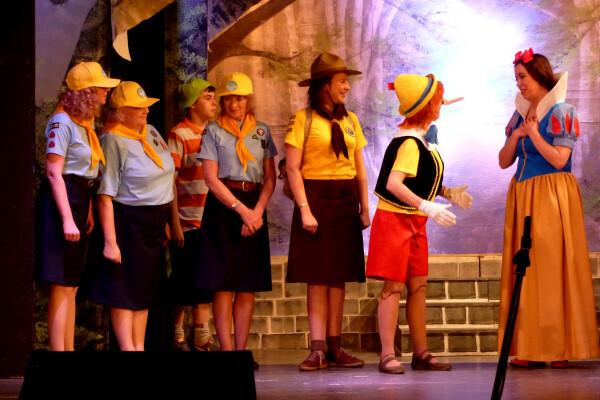 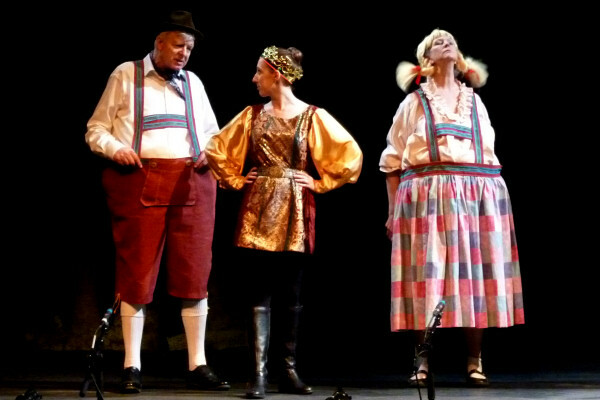 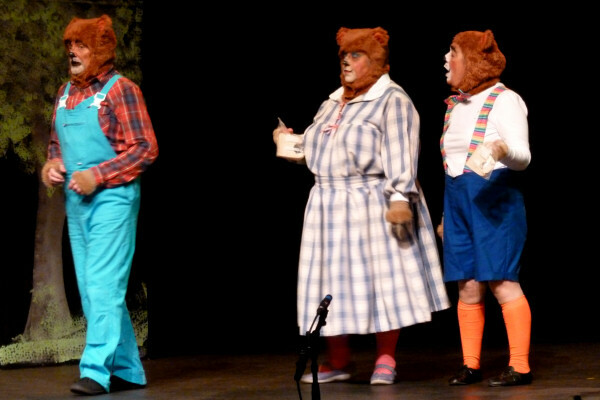 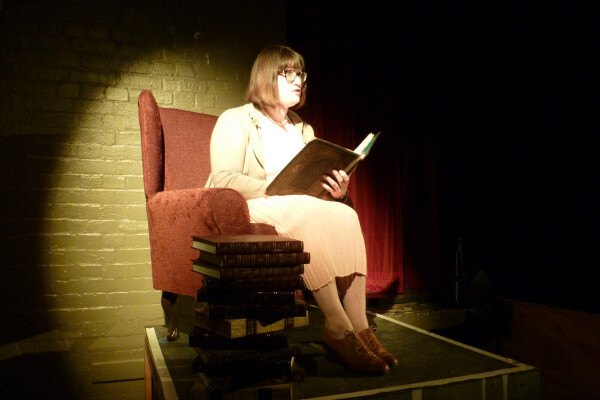 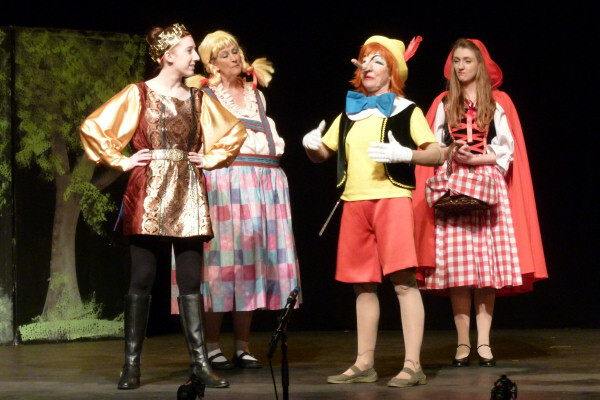 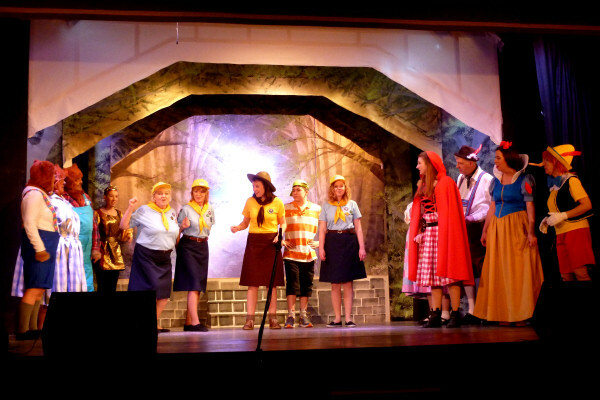 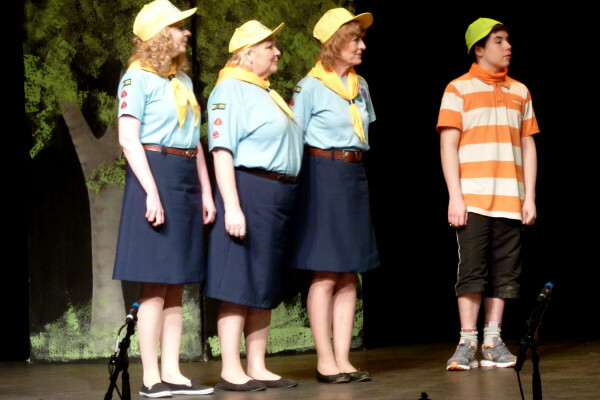 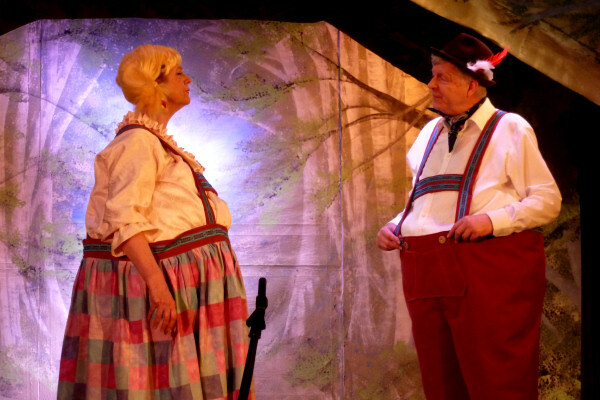 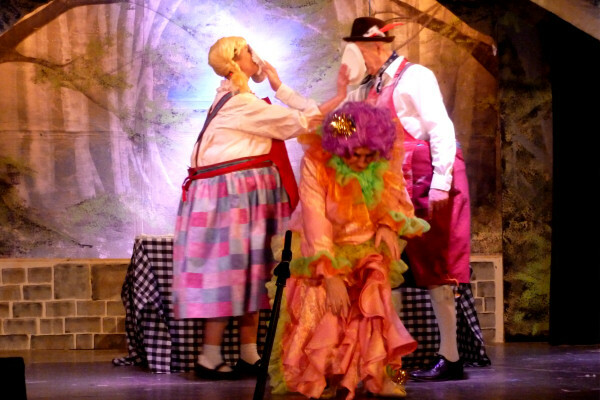 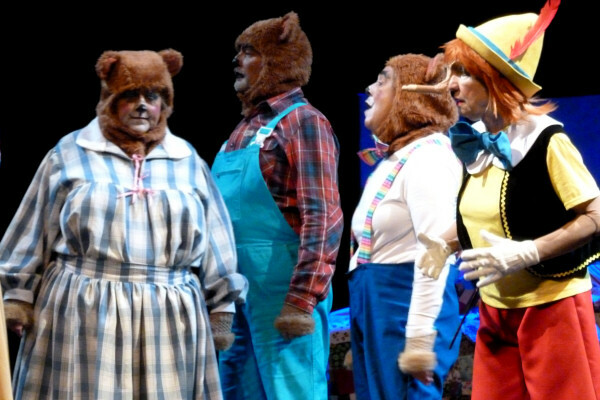 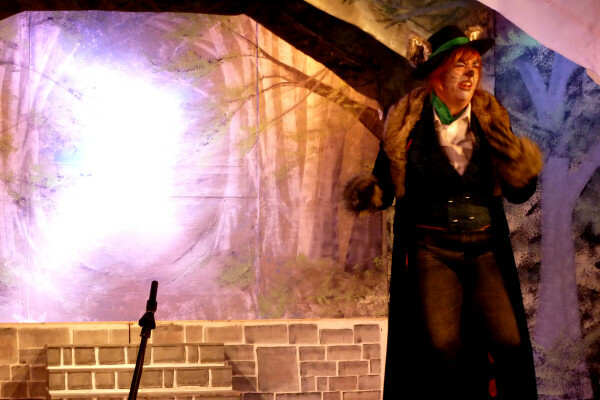 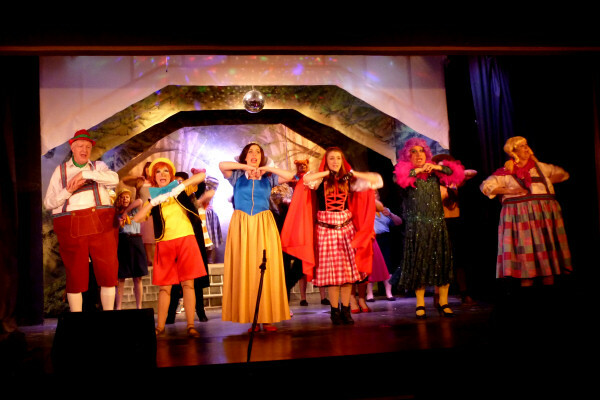 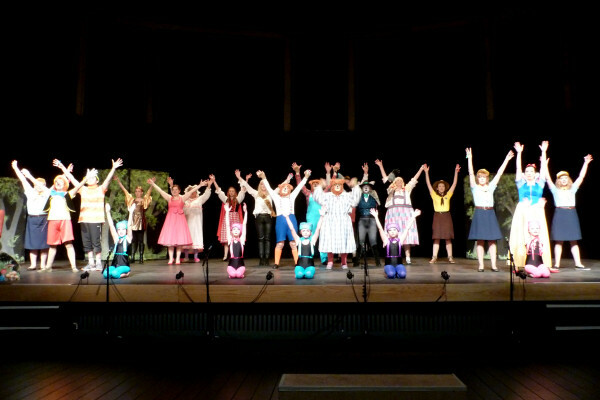 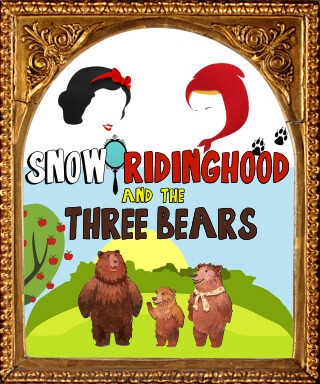 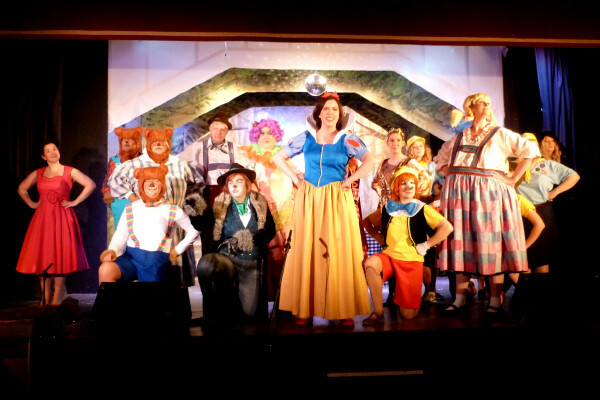 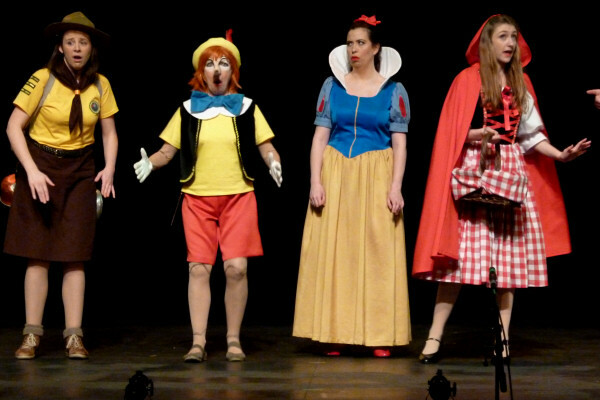 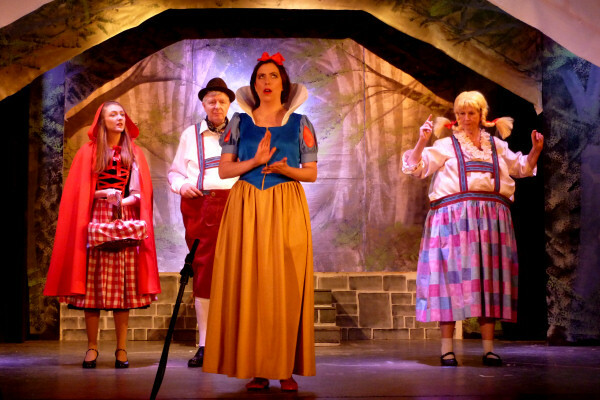 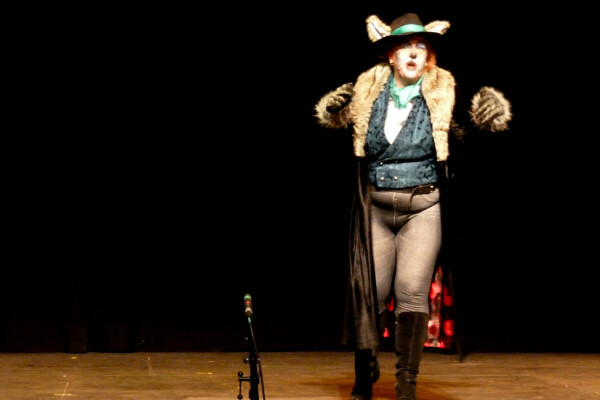 Snow Ridinghood and the Three Bears is a traditional pantomime weaving together your favourite fairy stories into a show for all the family. 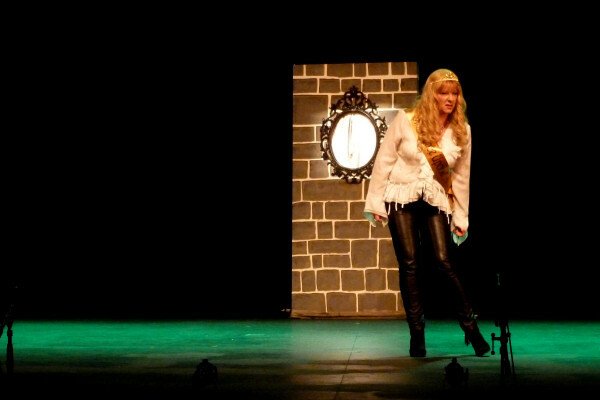 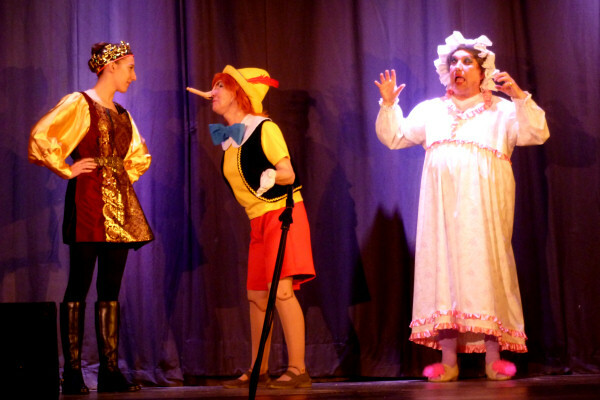 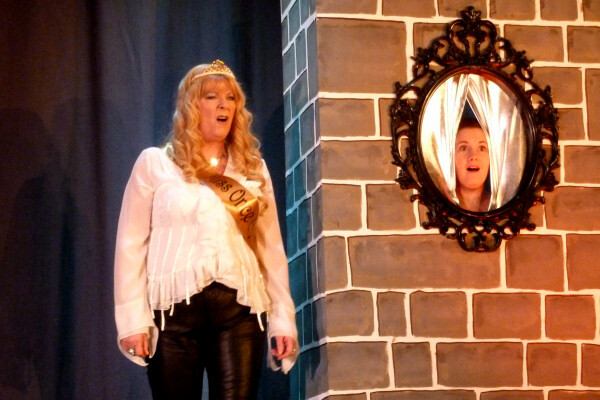 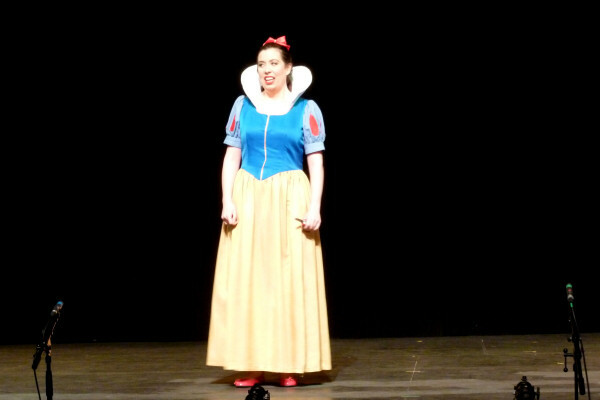 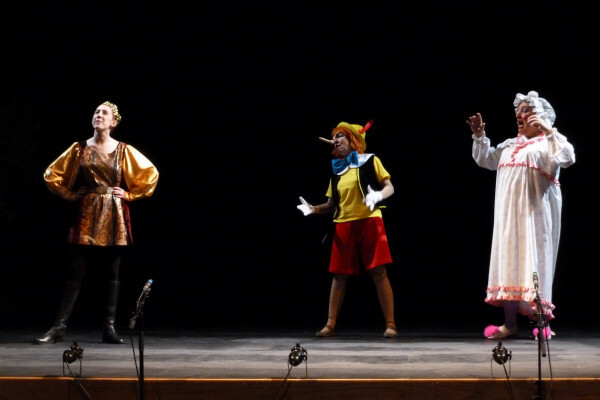 You’ll hiss and boo, laugh and join in as our characters have to work together to overthrow the evil Queen Golidlocks. 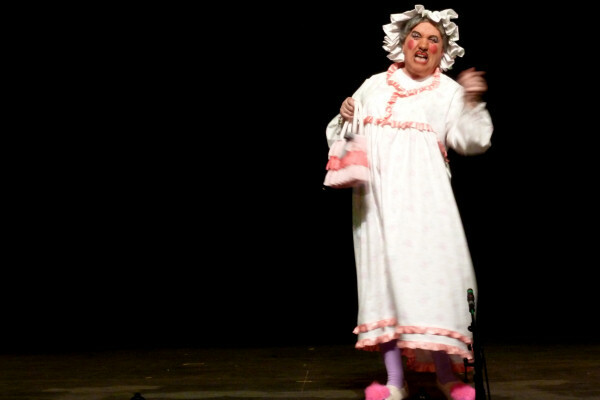 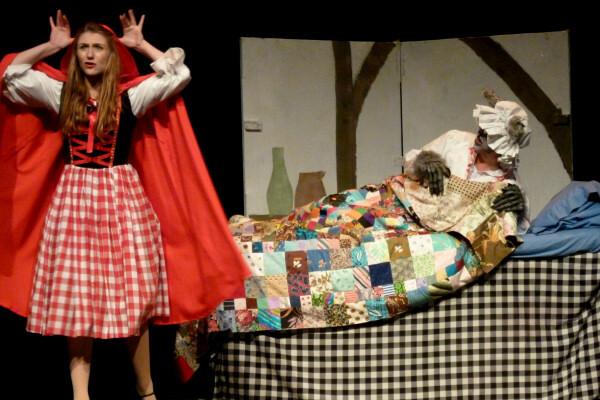 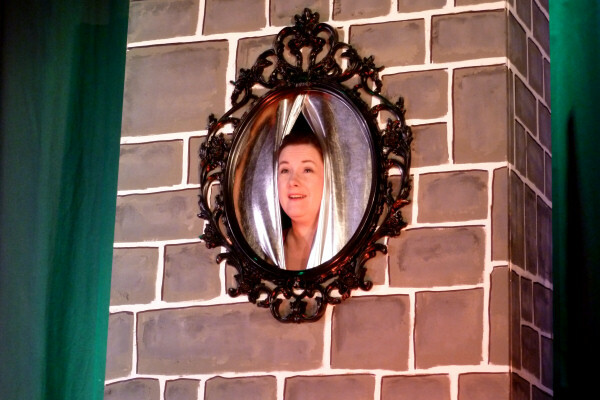 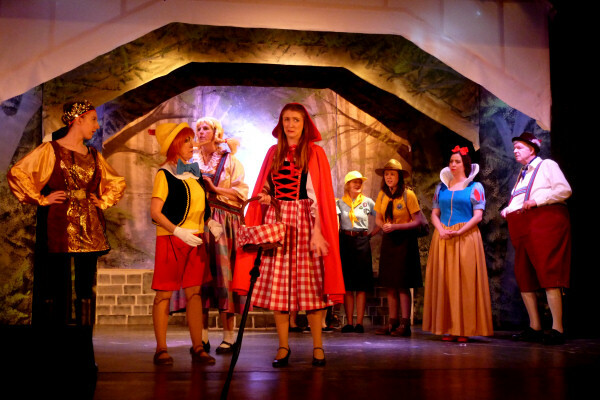 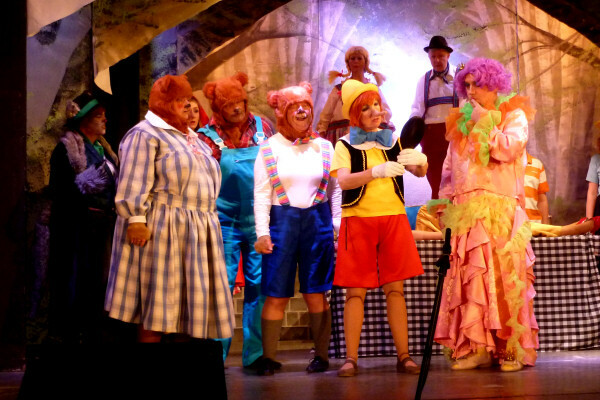 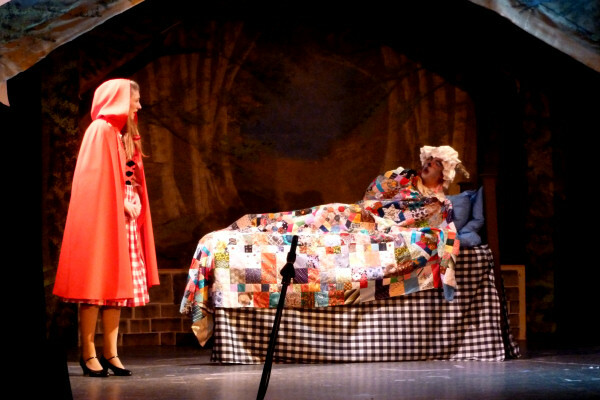 Maybe you’ll even catch a sweet from our Dame- Red Ridinghood’s Granny – that is, if the big bad wolf hasn’t eaten her!